News Shortcut to 2019 Style! You don’t have to replace all the furniture in a room, or start an extensive painting project to incorporate some of 2019’s hottest design trends. Instead, find one or two items in each room that you’ve been thinking of replacing anyway. Small changes can make a giant impact on the look and feel of your home. Check out these tips for updating your home’s look quickly and easily! We still love our white kitchens and the crisp, clean look of a neutral living area, but pops of bold color are having their moment as well. Luxurious navy blue, bright sunny yellow and royal purples are all attractive options, and you can easily incorporate this trend using one or two key pieces. Upgrade your throw pillows to bring a bold pop of color to your family room or sitting area. Trade out a set of lamps for ones with brightly colored bases. 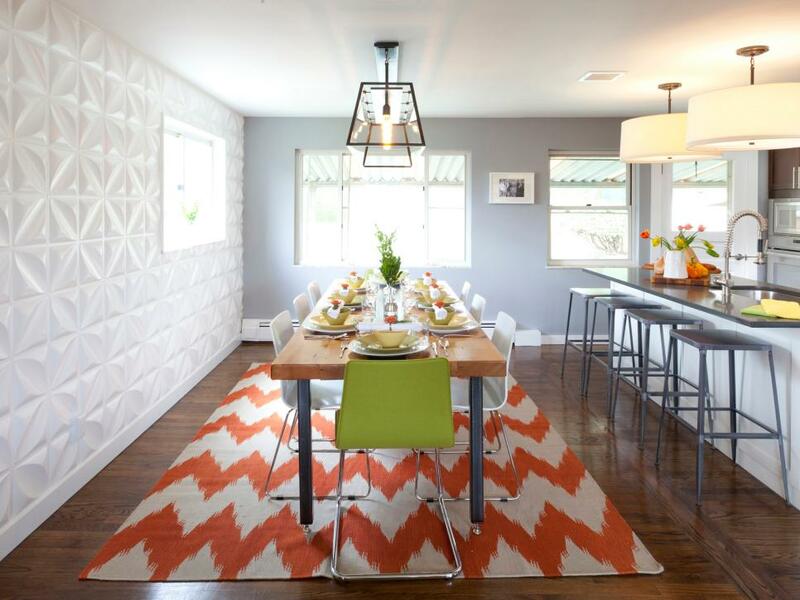 Consider adding a vibrant throw rug to an otherwise neutral area. Retro vibes are back, and an easy way to pay homage to this trend is by incorporating rounded edges and natural shapes into your decor. Breathe new life into a guest bedroom with an upholstered, rounded headboard. Using a well-placed mirror to enlarge the feel of a small room is an old design trick. Skip the rectangle and use an oval, arched or beveled mirror instead to create this optical illusion. Add a rounded vase in an unexpected color to an accent table to combine two of year’s top trends. You could incorporate this trend by re-tiling your kitchen backsplash or adding wall paper to your powder room, but luckily there are faster options as well. Look for an area rug or wall tapestry in a geometric, southwestern print. Frame a door or window with a pair of wall sconces in a funky, geometric shape. Trade out your old kitchen canisters for a modern set with a base of pentagons or hexagons. Just one or two pieces in a vibrant pattern can give a room a whole new look! An even hotter trend for 2019 is a new home, and you can find it right here!